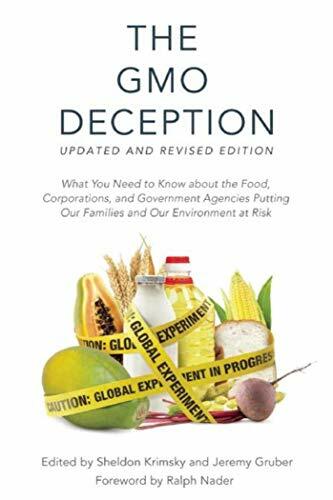 9781628736601 | Skyhorse Pub Co Inc, June 3, 2014, cover price $24.95 | About this edition: Seventy-five percent of processed foods on supermarket shelves—from soda to soup, crackers to condiments—contain genetically engineered ingredients. 9781510702660 | Skyhorse Pub Co Inc, April 12, 2016, cover price $16.99 | About this edition: Seventy-five percent of processed foods on supermarket shelves—from soda to soup, crackers to condiments—contain genetically engineered ingredients. 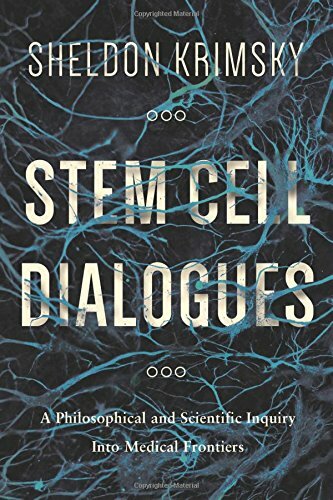 9780231167482 | Columbia Univ Pr, June 23, 2015, cover price $35.00 | About this edition: Stem cells and the emerging field of regenerative medicine are at the frontiers of modern medicine. 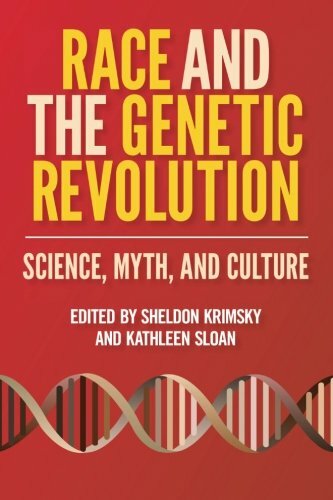 9780231156967 | Columbia Univ Pr, August 31, 2011, cover price $105.00 | About this edition: Do advances in genomic biology create a scientific rationale for long-discredited racial categories? 9780231156974 | Columbia Univ Pr, August 31, 2011, cover price $35.00 | About this edition: Do advances in genomic biology create a scientific rationale for long-discredited racial categories? 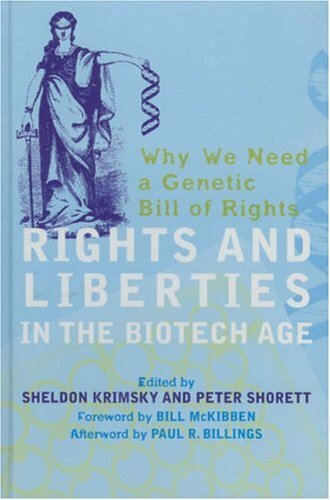 9780742543409 | Rowman & Littlefield Pub Inc, April 28, 2005, cover price $101.00 | About this edition: Rights and Liberties in the Biotech Age is the first book reaching broadly into biotechnology that imbeds the issues into a rights framework for the social management of technology. 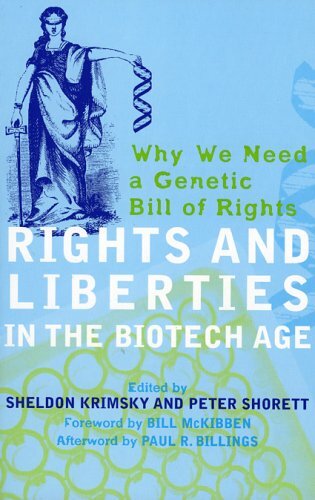 9780742543416 | Rowman & Littlefield Pub Inc, May 28, 2005, cover price $33.95 | About this edition: Rights and Liberties in the Biotech Age is the first book reaching broadly into biotechnology that imbeds the issues into a rights framework for the social management of technology. 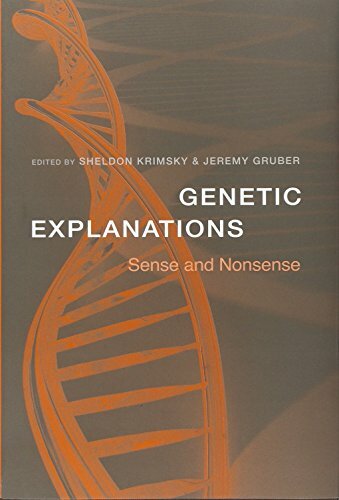 9780742514799 | Rowman & Littlefield Pub Inc, August 1, 2003, cover price $42.00 | About this edition: Something has changed in the culture and values of academic science over the last quarter-century. 9780742543713 | Rowman & Littlefield Pub Inc, November 30, 2004, cover price $31.00 | About this edition: Something has changed in the culture and values of academic science over the last quarter-century. 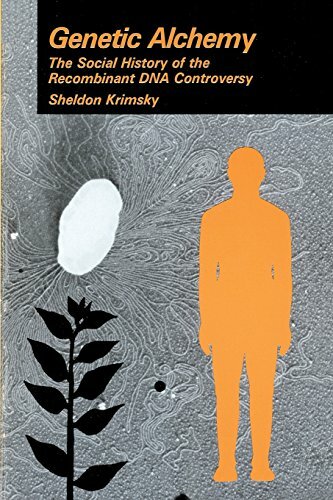 9780801862793 | Johns Hopkins Univ Pr, November 1, 1999, cover price $55.00 | About this edition: In Hormonal Chaos, Sheldon Krimsky traces the emergence of an unorthodox hypothesis that casts new suspicions on a broad range of modern industrial chemicals. 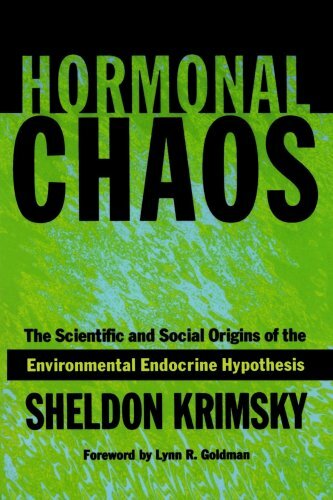 9780801872525 | Johns Hopkins Univ Pr, June 14, 2002, cover price $28.00 | About this edition: In Hormonal Chaos, Sheldon Krimsky traces the emergence of an unorthodox hypothesis that casts new suspicions on a broad range of modern industrial chemicals. Modern agriculture is being transformed by the genetic alteration of seeds, animals, and microorganisms, a process that has produced such products as Flavr Savr tomatoes and crops resistant to specific insects or herbicides. Agricultural Biotechnology and the Environment is the first comprehensive overview of the ongoing transformation of agriculture, exploring the impact of genetic engineering from scientific, social, ethical, and ecological perspectives. Sheldon Krimsky and Roger Wrubel detail the impact the new generation of products is expected to have on agricultural practice and the environment and assess the degree to which current trends in biotechnology match earlier expectations. They also analyze the social and political response to innovations resulting from genetic technology. 9780252021640 | Univ of Illinois Pr, May 1, 1996, cover price $52.00 | About this edition: Modern agriculture is being transformed by the genetic alteration of seeds, animals, and microorganisms, a process that has produced such products as Flavr Savr tomatoes and crops resistant to specific insects or herbicides. 9780275941680 | Praeger Pub Text, August 1, 1992, cover price $84.00 | About this edition: The social science approach to risk has matured over the past two decades, with distinct paradigms developing in disciplines such as anthropology, economics, geography, psychology, and sociology. 9780275938598 | Praeger Pub Text, September 1, 1991, cover price $84.00 | About this edition: Impacts of technological change have historically been assessed only after the passage of a significant period of time. 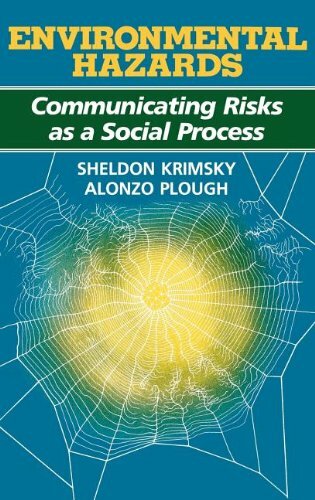 9780865691841 | Praeger Pub Text, October 1, 1988, cover price $84.00 | About this edition: This substantive, insightful book demonstrates the growing importance of risk communication as both a technical and cultural phenomenon. 9780865691872 | Praeger Pub Text, September 30, 1988, cover price $45.00 | About this edition: This substantive, insightful book demonstrates the growing importance of risk communication as both a technical and cultural phenomenon. 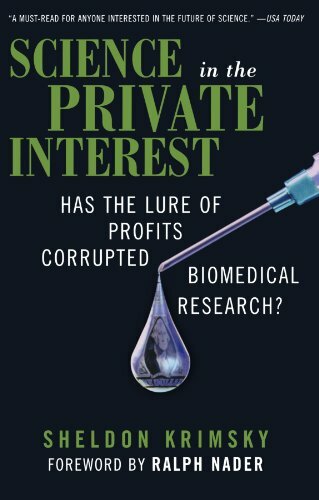 9780262610384 | Reprint edition (Mit Pr, November 1, 1984), cover price $37.00 | About this edition: Genetic Alchemy summarizes and clarifies the background of policy and ethical issues, the debates engendered by uncertain risks to researchers and the population at large, and the roles played by scientists involved in one of the most prominent and controversial new technologies, gene splicing. 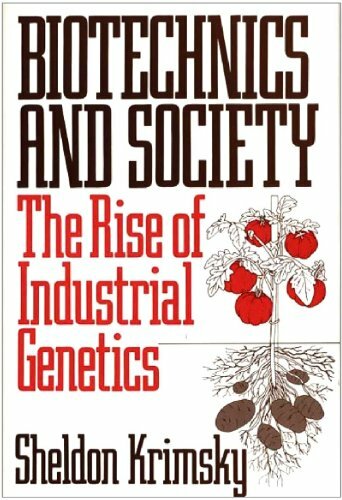 9780262110839 | Mit Pr, November 1, 1982, cover price $35.00 | About this edition: Genetic Alchemy summarizes and clarifies the background of policy and ethical issues, the debates engendered by uncertain risks to researchers and the population at large, and the roles played by scientists involved in one of the most prominent and controversial new technologies, gene splicing.